I'm passionate about modern futuristic architecture, aviation,rooftopping photography. 1,071 stock photos, vectors, and illustrations are available royalty-free. 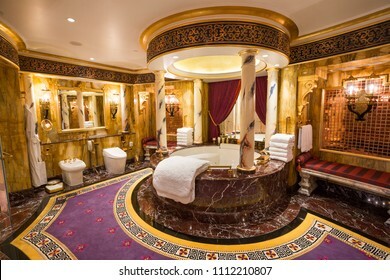 Dubai, UAE - FEBRUARY 18, 2018: Burj Al Arab royal suite. 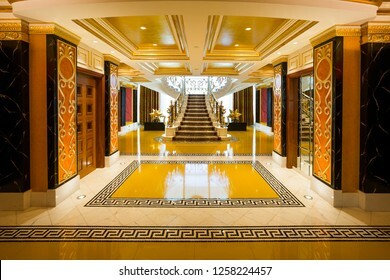 Interior of Burj Al Arab famous Dubai hotel. 7 star luxury hotel. Dubai symbol. Iconic the most luxurious hotel in the world. 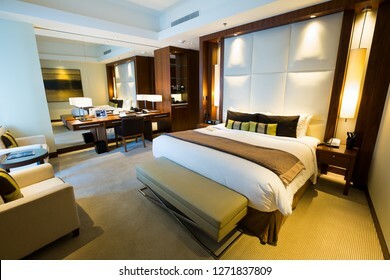 Luxury bedroom. BORYSPIL, UKRAINE - SEPTEMBER 03, 2018: Ryanair aircraft at the airport. Captain pilot greetings. Boeing 737-800. Ryanair airline. Low fares airline. Low cost airline. Europe travel. 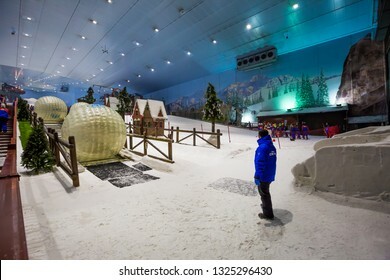 DUBAI, UAE - NOVEMBER 21, 2018: Ski Dubai indoor ski resort. Mall of the Emirates. 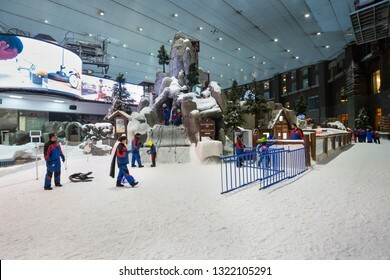 Snow resort in Dubai. Iconic Dubai place. Snow activities. Kids playing. Winter activities. Family fun. 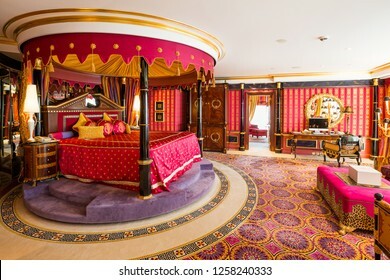 Dubai, UAE - FEBRUARY 18, 2018: Burj Al Arab royal suite. 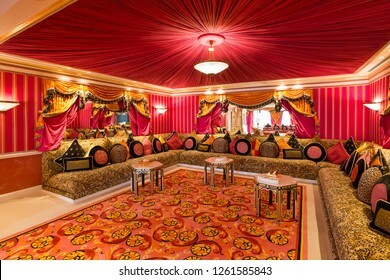 Interior of Burj Al Arab famous Dubai hotel. 7 star luxury hotel. Dubai symbol. Iconic the most luxurious hotel in the world. Lounge area. Dubai, UAE - NOVEMBER 13, 2017: Etihad Airways economy class seats. 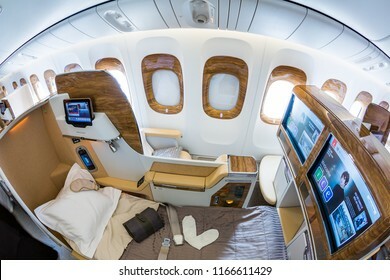 Airbus A380 cabin. Inflight entertainment system IFE screens. Travelling with Etihad Airways. Dubai skyscrapers from above. Incredible Dubai view. Futuristic skyline. 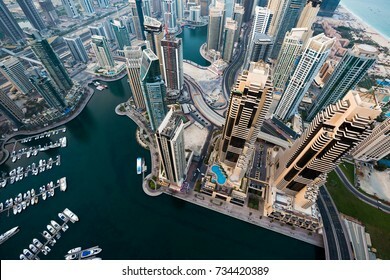 Dubai Marina aerial view. Skyscraper view. 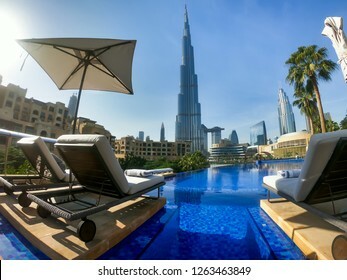 Dubai, UAE - NOVEMBER 15, 2018: Dubai pool view. Best Dubai view. Futuristic city. Burj Khalifa tallest building in the world. Dubai resort, holiday, relax. Hotel pool. Sunbeds and infinity pool. 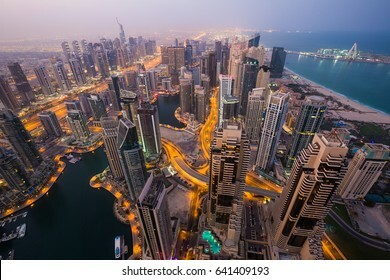 Dubai, UAE - NOVEMBER 21, 2018: Dubai skyline. 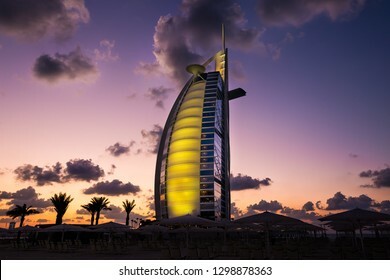 Burj Al Arab iconic Dubai 7 star hotel. Famous luxury hotel. Spectacular sunset sky. Iconic symbol of Dubai. BORYSPIL, UKRAINE - DECEMBER 19, 2018: Boryspil International airport. 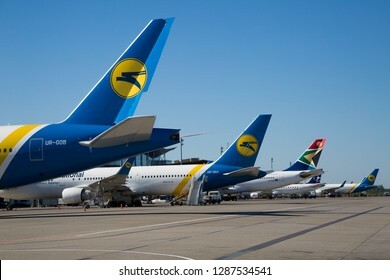 Ukraine International Airlines FlyUIA aircrafts waiting for passengers boarding at the airport. Night airport. 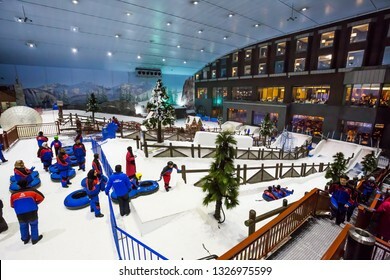 DUBAI, UAE - NOVEMBER 21, 2018: Ski Dubai indoor ski resort. 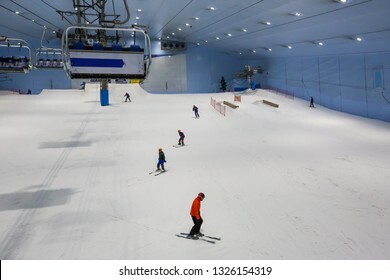 People skiing. Ski lift. Mall of the Emirates. 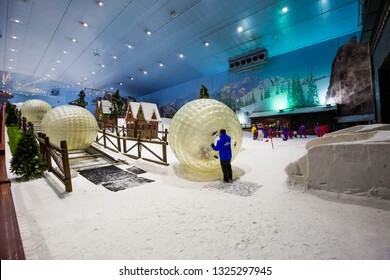 Snow resort in Dubai. Iconic Dubai place. Snow activities. Winter activities. Family fun. 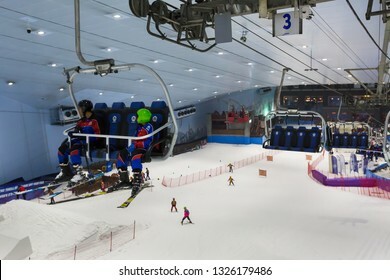 DUBAI, UAE - NOVEMBER 21, 2018: Ski Dubai indoor ski resort. Mall of the Emirates. 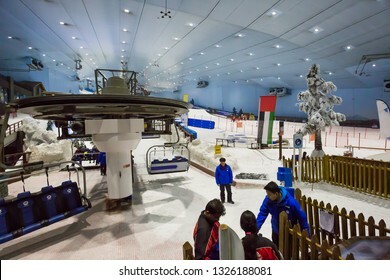 Snow resort in Dubai. Iconic Dubai place. Snow activities. Kids playing. 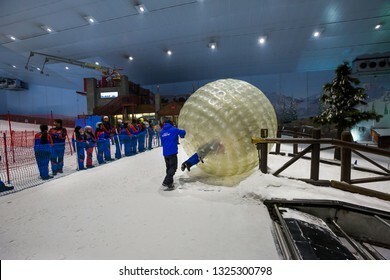 Zorbing. Winter activities. Family fun. Dubai skyscrapers from above. Incredible Dubai view. Futuristic skyline. 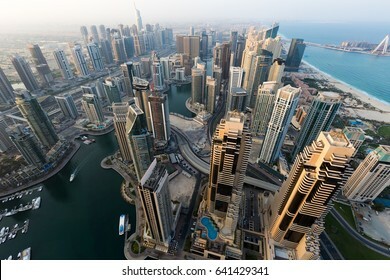 Dubai Marina aerial view. Skyscraper construction. Dubai yachts. Aerial view. Sheikh Zayed road. Iconic skyline. 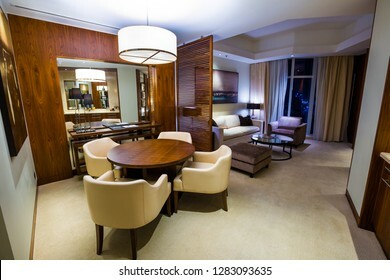 DUBAI, UAE - NOVEMBER 15, 2018: Hotel room interior. 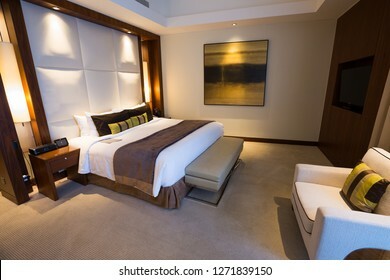 Hotel apartment, bedroom. Modern room interior. JW Marriott Marquis Dubai. 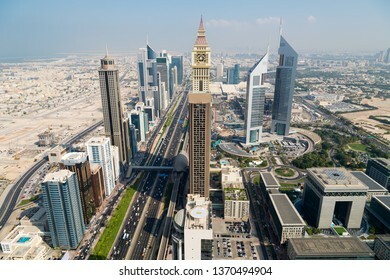 Dubai skyline, skyscrapers. Dubai Marina from above. Morning light. Dubai citylights. Luxury homes, private property. Cayan tower view. Dubai, UAE - FEBRUARY 18, 2018: Al Mahara luxury Burj Al Arab restaurant. 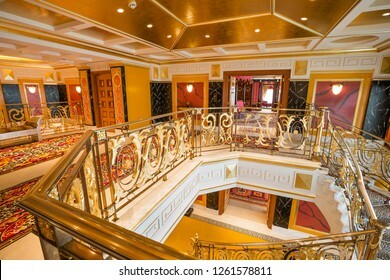 Interior of Burj Al Arab famous Dubai hotel. 7 star luxury hotel. Iconic the most luxurious restaurant and hotel in the world. 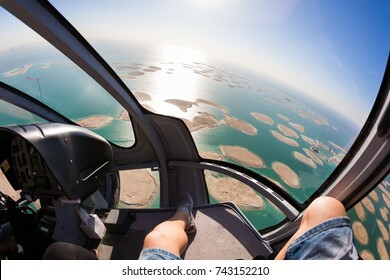 Helicopter flight over the sea. Dubai leisure. Eurocopter EC130. Luxury lifestyle. 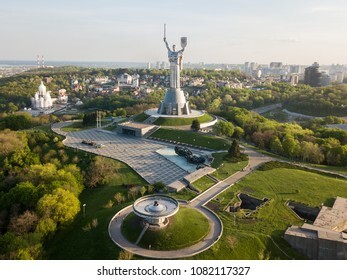 Kyiv, Ukraine - APRIL 29, 2018: The Motherland monument. 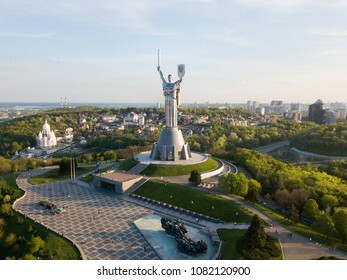 Symbol of Kyiv (Kiev). The National Museum of the History of Ukraine in the Second World War. Kyiv skyline, cityscape. Boryspil, Ukraine - MAY 26, 2018: Airport panoramic view. Modern airport terminal. Aircrafts at the airport gates. 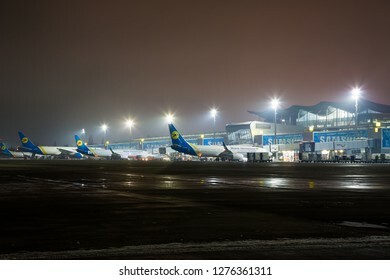 Kiev Boryspil International airport. Ukraine International airlines aircrafts. ISTANBUL, TURKEY - JULY 30, 2016: Retro tram on Istiklal street. Istanbul historic district. Istanbul famous touristic line. 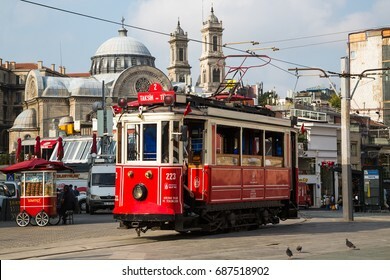 Red tram Taksim-Tunel. 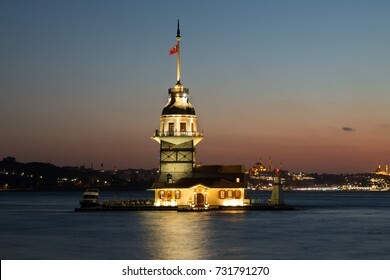 Maiden's tower. Kiz Kulesi. Istanbul symbol. Boryspil, Ukraine - MAY 26, 2018: Airport panoramic view. Airport apron overview. Aircrafts at the airport gates. 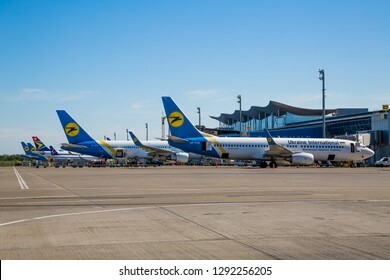 Kiev Boryspil International airport. Ukraine International airlines. Boeing 777. 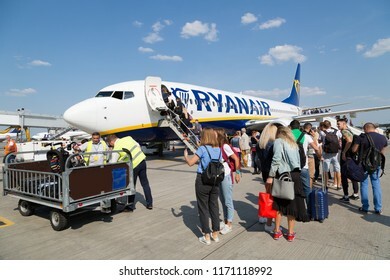 BORYSPIL, UKRAINE - SEPTEMBER 03, 2018: Passengers boarding Ryanair plane. Ryanair airplane at the airport. Low fares airline. Low cost airline. BORYSPIL, UKRAINE - SEPTEMBER 03, 2018: Ryanair aircraft at the airport. Captain pilot shows thumbs up. 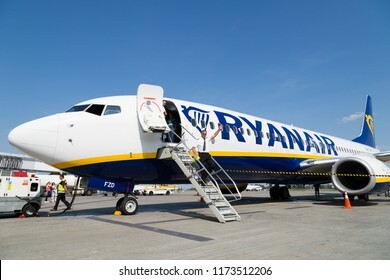 Ryanair starting flights to Ukraine. Boeing 737-800. 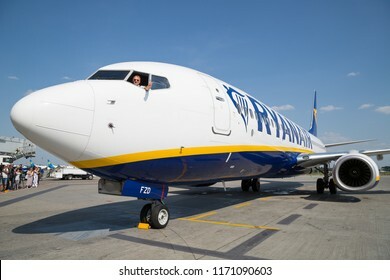 Ryanair airline. 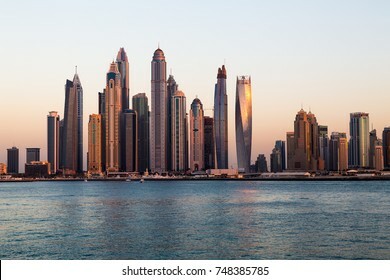 DUBAI, UAE - NOVEMBER 15, 2018: Tall Dubai skyscrapers. Futuristic city. JW Marriott Marquis Dubai hotel. The tallest 5 star hotel in the world. DUBAI, UAE - NOVEMBER 14, 2016: Dubai skyline. 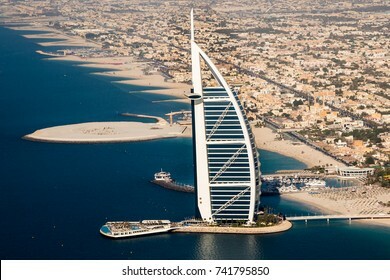 Iconic Burj Al Arab 7 star hotel. Dubai luxury hotel. Burj Al Arab Terrace. Luxury leisure. Symbol of Dubai. 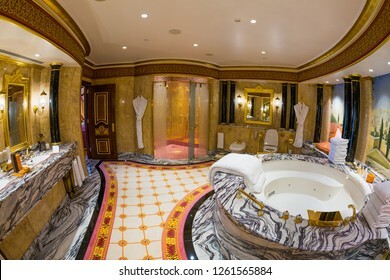 DUBAI, UAE - NOVEMBER 15, 2018: Bathroom interior. Modern bathroom. 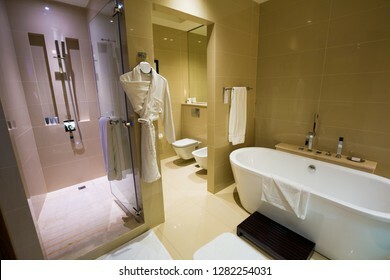 Hotel bathroom. Dubai, UAE - NOVEMBER 12, 2017: HH Sheikh Mohammed Bin Rashid Al Maktoum. UAE Vice President, Prime Minister. Dubai Ruler. United Arab Emirates government. 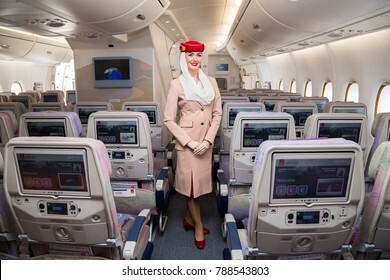 Dubai, UAE - NOVEMBER 12, 2017: Emirates beautiful flight attendant. Emirates logo. Traveling with Emirates. Airbus A380. Dubai travel. Leading world's airline. Dubai, UAE - NOVEMBER 12, 2017: Emirates airline. Welcome aboard. Year of Zayed special painting. Emirates beautiful flight attendant. 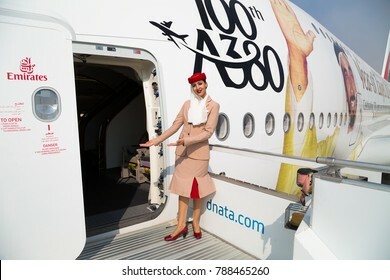 100th Airbus A380 in Emirates fleet. BORYSPIL, UKRAINE - DECEMBER 19, 2018: Boryspil International airport. Ukraine International Airlines FlyUIA aircraft Boeing 737 waiting for passengers boarding at the airport. 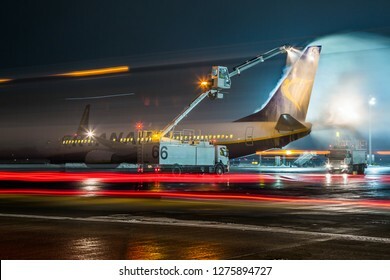 Night airport. 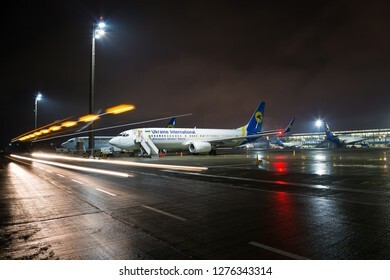 BORYSPIL, UKRAINE - DECEMBER 19, 2018: Winter at the airport. 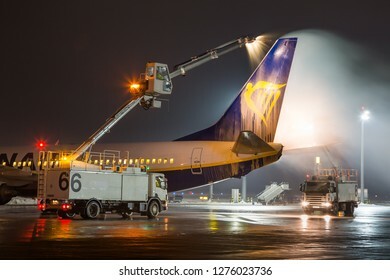 Deicing of the airplane before flight. 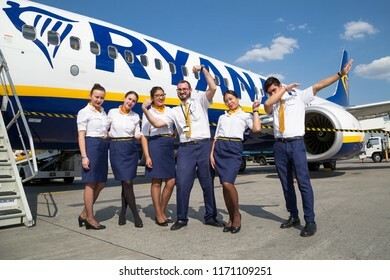 BORYSPIL, UKRAINE - SEPTEMBER 03, 2018: Ryanair flight attendants, cabin crew. Ryanair airline. Low fares airline. Low cost airline. Boeing 737. 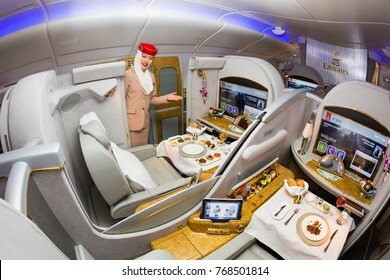 Dubai, UAE - NOVEMBER 14, 2017: Emirates new business class. 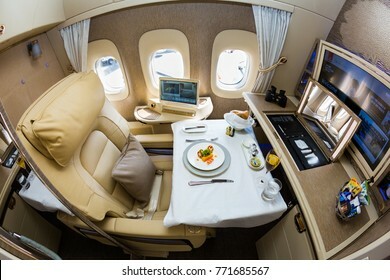 Emirates luxury travel. Boeing 777. Renewed business class cabin. Brand new design. Inflight entertainment system screen. UAE airline. 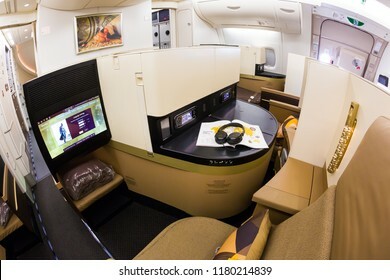 Dubai, UAE - NOVEMBER 13, 2017: Etihad Airways business class luxury seats. Business class seat. Airbus A380. Onboard dining. Luxury travel. Travelling with Etihad Airways. Flight attendant portrait. 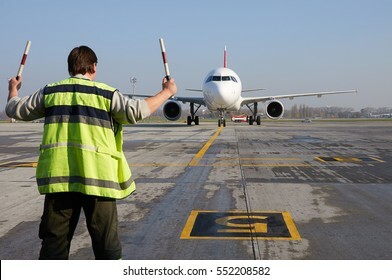 Aviation marshaller meets airplane at the airport. 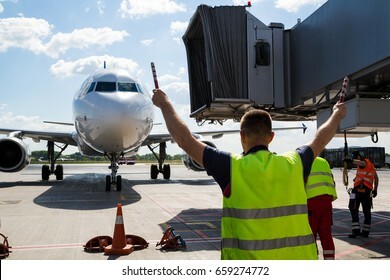 Airport worker. Modern airport. 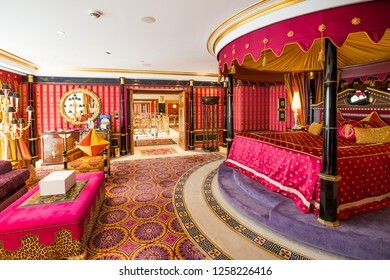 Dubai, UAE - FEBRUARY 18, 2018: Burj Al Arab royal suite. Interior of Burj Al Arab famous Dubai hotel. 7 star luxury hotel. Dubai symbol. Iconic the most luxurious hotel in the world. Entrance. 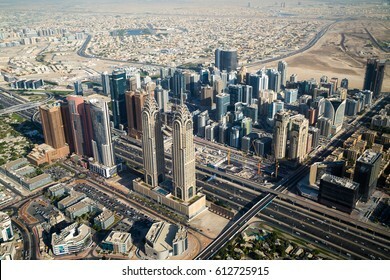 Dubai skyline, skyscrapers. Dubai Marina from above. Morning light. Dubai morning. 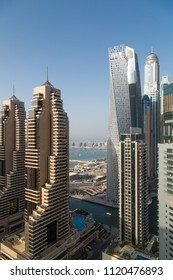 Cayan tower view. Luxury homes, private property. ISTANBUL, TURKEY - JULY 30, 2016: Retro tram on Taksim square. Istanbul historic district. Istanbul famous touristic line. 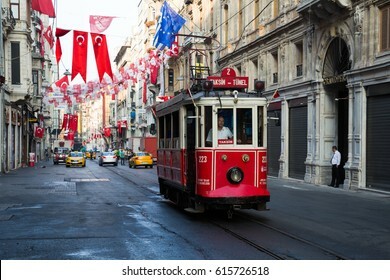 Red tram Taksim-Tunel. 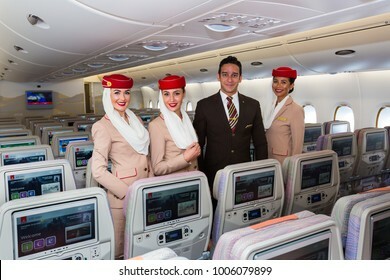 Dubai, UAE - NOVEMBER 12, 2017: Emirates flight attendants. Airbus A380 travel. Stewardess dress. Flight attendant portrait. Emirates airline. Dubai skyscrapers. Dubai Marina from above. Morning light. Futuristic skyline. Luxury homes, private property. Cayan tower view. Dubai Downtown skyline. Night cityscape. Burj Khalifa tallest building in the world. Skyscraper construction. Dubai iconic view. Business bay towers. 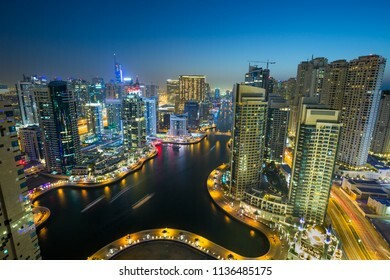 Dubai Canal. Futuristic city. City lights. Dubai, UAE - NOVEMBER 20, 2018: Deira historic district of Dubai. Night city. Sunset sky. Dubai skyline. Tourist destination. Old city. 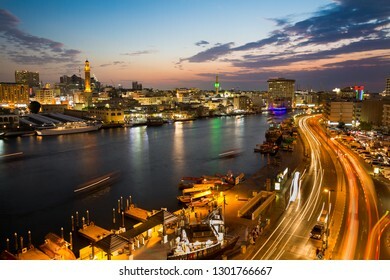 Dubai creek. Abra boats. City lights, night roads. Dubai skyscrapers. Dubai Marina panoramic view, skyline, cityscape. Evening skyline. 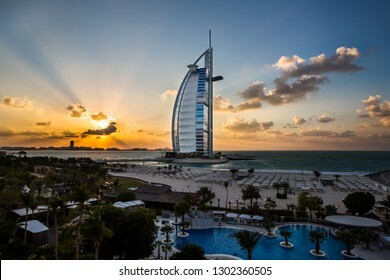 Dubai sunset. Dubai futuristic skyline. Skyscrapers Princess Tower, Cayan tower, Marina 101. 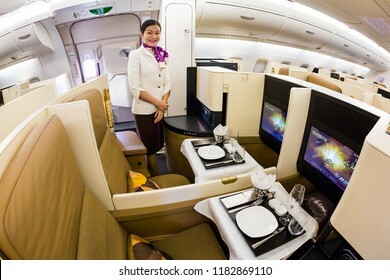 Dubai, UAE - NOVEMBER 13, 2017: Etihad Airways business class luxury seats. Business class seat. Airbus A380. Travelling with Etihad airways. Luxury travel. Inflight entertainment system IFE screen. 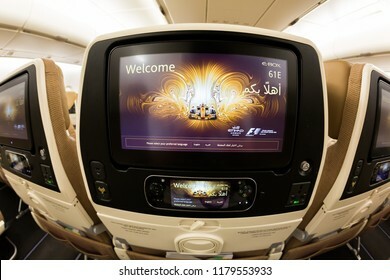 Dubai, UAE - NOVEMBER 13, 2017: Etihad Airways Inflight entertainment system IFE screen. Airbus A380. 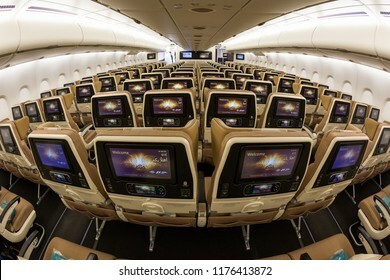 Etihad economy class seats. Travelling with Etihad airways. Inflight entertainment system display. Dubai sunset skyline. 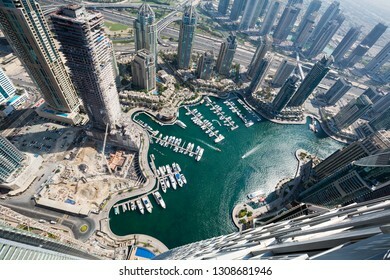 Dubai Marina skyscrapers. Cayan tower, Princess tower, Marina 101, The Torch tower. Sheikh Zayed road. Tallest Dubai buildings. Beautiful sunset sky. Dubai luxury property. 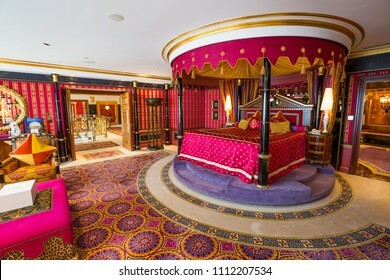 Dubai, UAE - FEBRUARY 18, 2018: Burj Al Arab royal suite. Bathroom. Interior of Burj Al Arab famous Dubai hotel. 7 star luxury hotel. Iconic the most luxurious hotel in the world. Luxury jacuzzi. 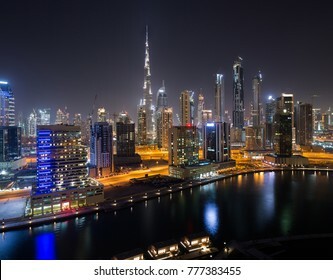 Dubai night skyline. 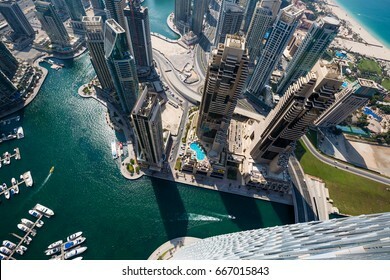 Dubai Marina skyscrapers. Modern cityscape. Futuristic city. Luxury Dubai life. Modern city views. Residential and office towers. 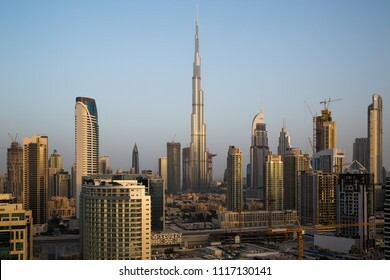 Tallest Dubai buildings. Marina promenade. 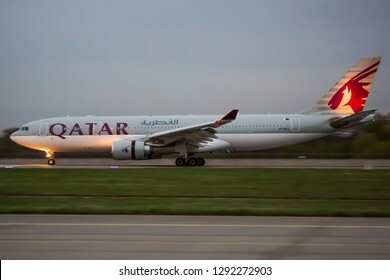 BORYSPIL, UKRAINE - APRIL 26, 2018: Qatar Airways aircraft landing at the airport. Airport runway. Airplane landing. Qatar travel. 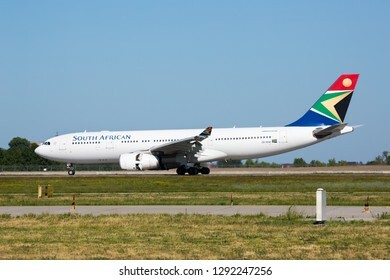 Boryspil, Ukraine - MAY 26, 2018: South African airline aircraft. Airport runway. Landing airplane. 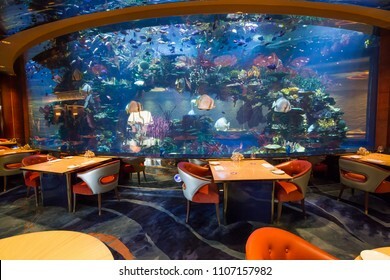 DUBAI, UAE - NOVEMBER 18, 2018: Interior of iconic Dubai hotel Atlantis The Palm. The Grand Lobby with unique glass sculpture. 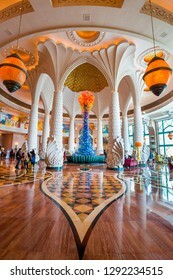 Atlantis the Palm hotel. 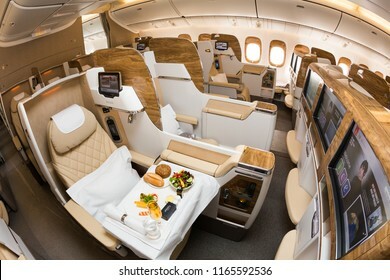 BORYSPIL, UKRAINE - APRIL 25, 2018: Turkish Airlines business class seats. 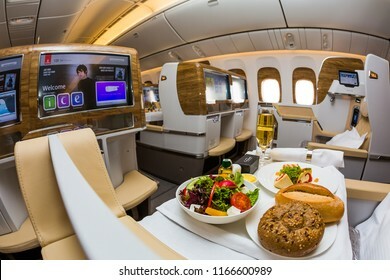 Boeing 777 business class. Inflight entertainment. Airplane interior. Business class travel. 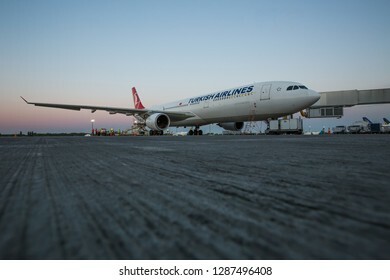 Boryspil, Ukraine - MAY 26, 2018: Turkish Airlines aircraft. Modern airport. Jet bridge. Preparing for the flight. Travel with Turkish airlines. Airbus A330. 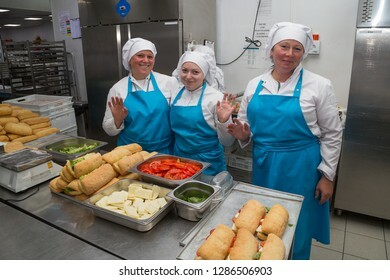 Boryspil, Ukraine - MAY 26, 2018: Women cooks smiling and posing. Women cooks preparing food in the kitchen. Chefs making sandwiches. 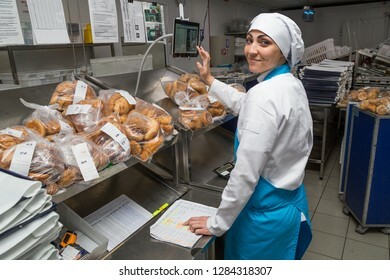 Airline catering kitchen. Onboard food preparation. 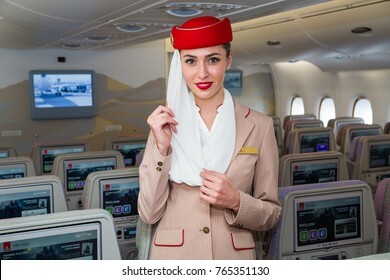 Dubai, UAE - NOVEMBER 12, 2017: Emirates beautiful flight attendant. Emirates Airbus A380 travel. Stewardess dress. Flight attendant portrait. Emirates airline travel. IFE system. 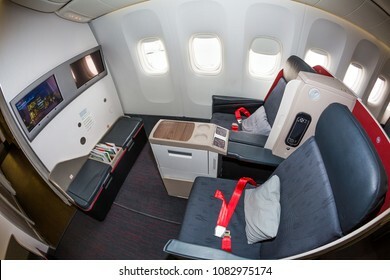 Economy class seats. Boryspil, Ukraine - MAY 26, 2018: Women cook preparing food in the kitchen. Airline catering. Sky food. Food being prepared for aircraft loading before the flight. Dubai, UAE - NOVEMBER 13, 2017: Etihad Airways first class luxury seats. First class seat. Airbus A380. Flat bed. Luxury travel. Travelling with Etihad Airways. Business class flight. 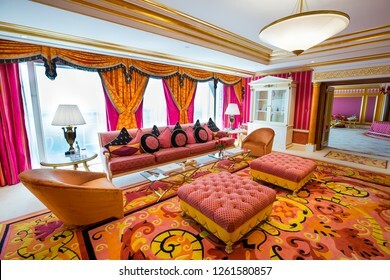 DUBAI, UAE - NOVEMBER 15, 2018: Living room interior. Modern living room. Hotel room. Dubai iconic view. Dubai Marina from above. Dubai construction. Futuristic city. Modern city from above. Modern architecture. Cayan tower Dubai Marina. Airport. 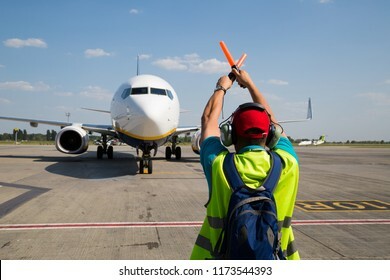 Aviation marshaller meets airplane at the airport. Airport worker. Boryspil airport. 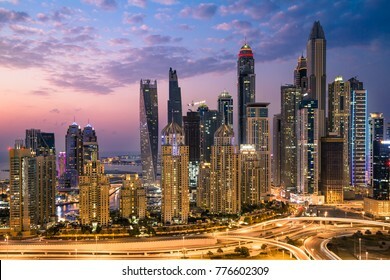 Dubai evening skyline. Dubai Marina skyscrapers, yachts. Iconic place. Dubai entertainment and leisure. Travel icon. Best city views. Pier 7 restaurants. JBR buildings. Yacht club. Dubai skyline from the air. Dubai futuristic skyscrapers. Dubai Tecom, Internet city, Barsha Heights district. Office buildings. Business district. 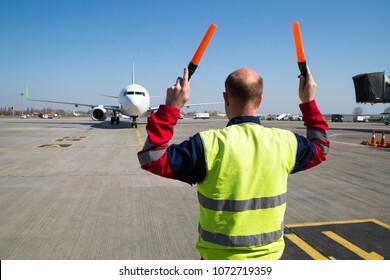 Aviation marshaller meets an airplane at the airport. Airport worker. Modern airport overview. Man at work. 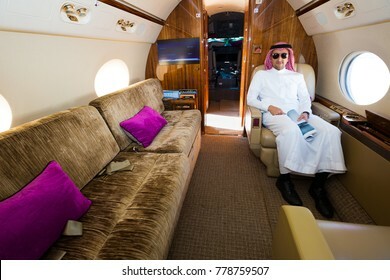 Dubai, UAE - NOVEMBER 15, 2017: Arab businessman sitting in private jet. Private airplane. Business travel. Arab sheikh. Gulfstream G450. Luxury interior. Dubai, UAE - FEBRUARY 18, 2018: Burj Al Arab iconic Dubai hotel. 7 star luxury hotel. 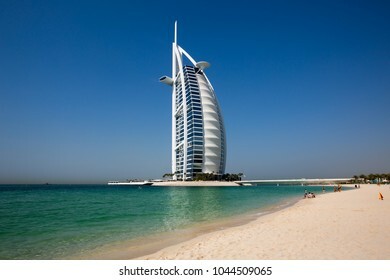 Symbol of Dubai. Beach resort. Famous sail shape hotel. The most luxurious hotel in the world. 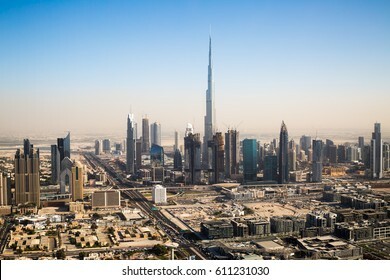 Dubai skyline. Burj Khalifa the tallest building in the world. Dubai Downtown. Dubai skyscrapers. 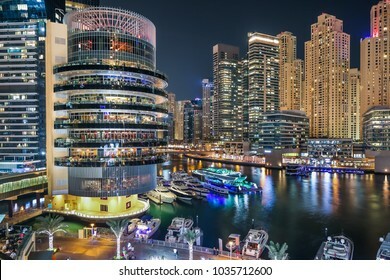 Dubai Marina cityscape. Dubai skyline. 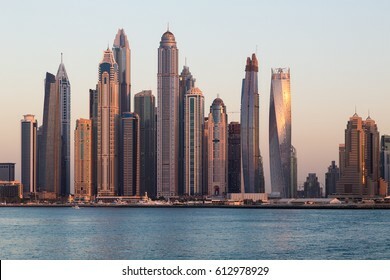 Dubai tallest buildings. 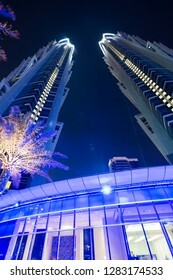 Cayan tower. Princess tower. Office and residential buildings. Futuristic city. Financial center. 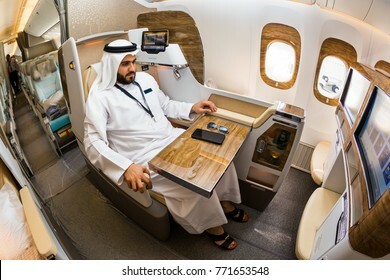 Dubai, UAE - NOVEMBER 14, 2017: Arab sheikh businessman enjoys new Emirates business class. 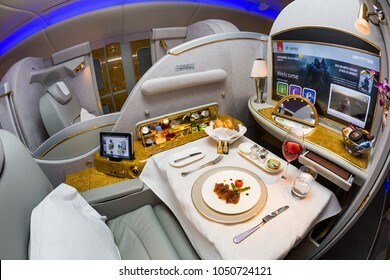 Emirates luxury travel. 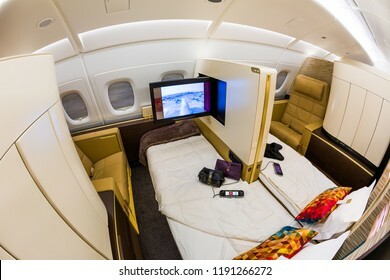 Emirates renewed business class cabin. Boeing 777. Dubai downtown skyline. Dubai skyscrapers. Iconic Dubai views. Modern city cityscape. Hotels, office and residential buildings. Financial center. Dubai construction. Tallest buildings. Dubai, UAE - FEBRUARY 18, 2018: Burj Al Arab royal suite. 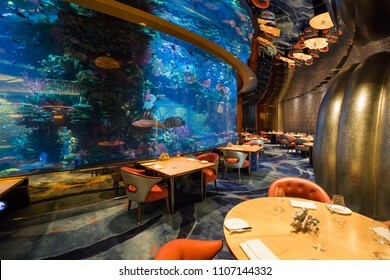 Interior of Burj Al Arab famous Dubai hotel. 7 star luxury hotel. Dubai symbol. Iconic the most luxurious hotel in the world. Stairway. Dubai Downtown skyline. Futuristic cityscape. Burj Khalifa the tallest building in the world. Dubai skyscrapers. Sunrise morning time. Dubai construction. Modern city panorama. 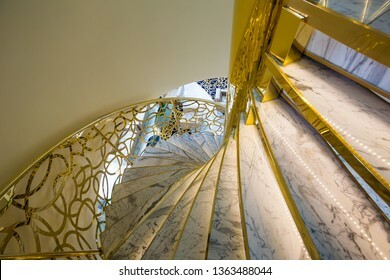 DUBAI, UAE - NOVEMBER 22, 2018: Beautiful staircase. Hotel interior. Modern interior design. Dubai luxury hotel. 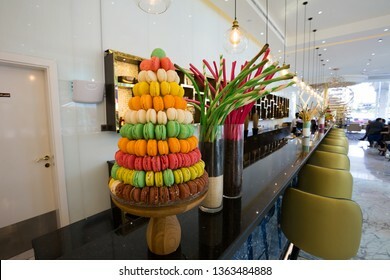 DUBAI, UAE - NOVEMBER 22, 2018: Macaroons, cookies, biscuits. Restaurant interior. Bar, cafe. 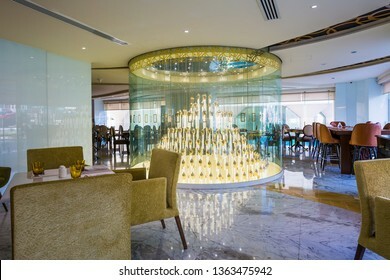 DUBAI, UAE - NOVEMBER 22, 2018: Hotel restaurant interior. Bar, cafe. Interior design. Gevora, the tallest hotel in the world. Dubai hotel. 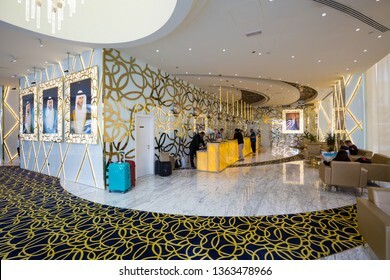 DUBAI, UAE - NOVEMBER 22, 2018: Hotel reception and lobby. Gevora, the tallest hotel in the world. World's tallest 4 star hotel. Dubai hotel. 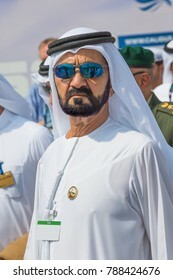 Portrait of Sheikh Mohammed bin Rashid Al Maktoum. 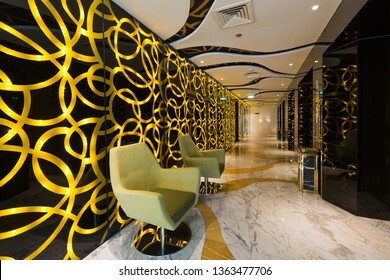 DUBAI, UAE - NOVEMBER 22, 2018: Hotel interior. Gevora, the tallest hotel in the world. World's tallest 4 star hotel. Dubai hotel. Modern interior design. 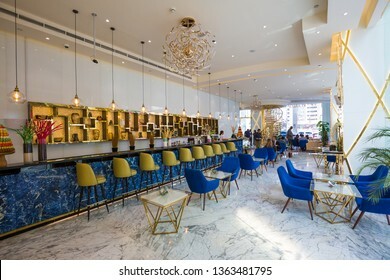 DUBAI, UAE - NOVEMBER 22, 2018: Dubai luxury hotel. Hotel interior. Gevora, the tallest hotel in the world. Restaurant interior. Luxury interior. Modern chandelier. Chandelier of hotel restaurant.